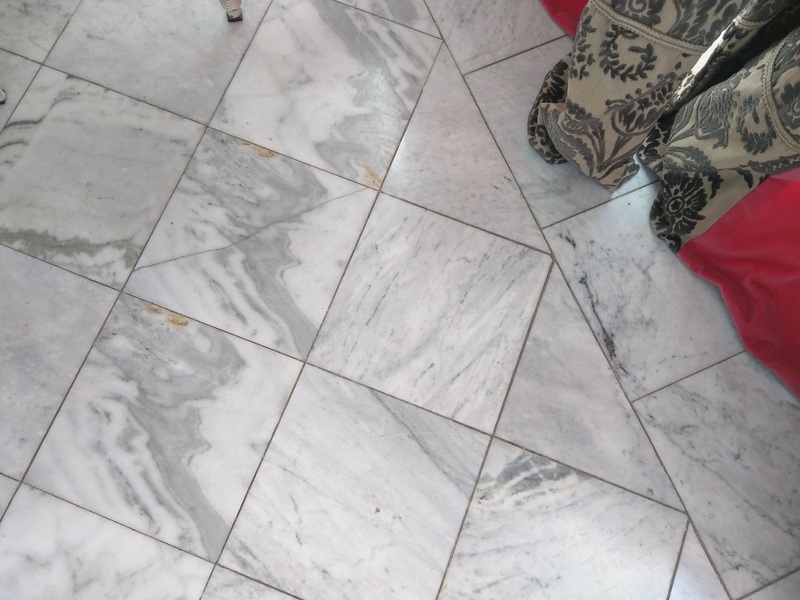 I recently took a trip to Spain and France, and I was struck by something that I’ve noticed on previous vacations: Europeans use marble everywhere: public bathrooms, sidewalks, staircases, wherever. 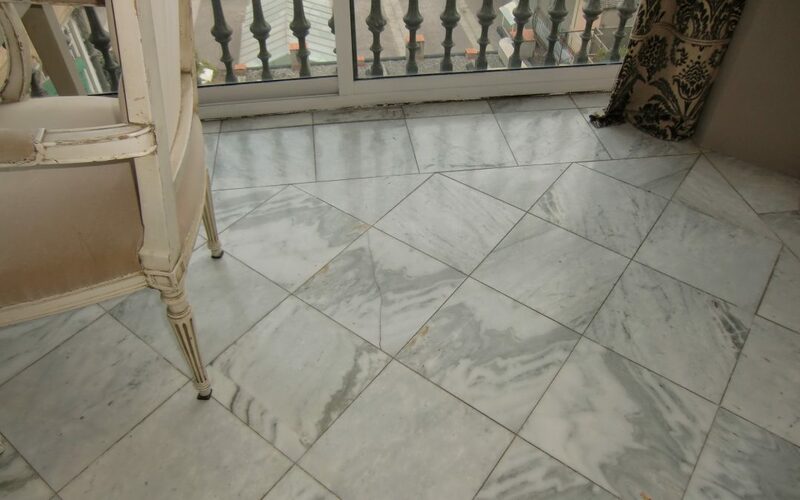 The most humble and mundane places are often enriched with beautiful marble tile. At Charles De Gaulle Airport, it seemed as if every walkway, indoors and out, was paved with Carrara marble. We rented an apartment in Barcelona with lovely, weathered marble floors. Granted, marble is cheaper and more plentiful in these countries, closer to its source, but there’s really no reason for us to treat marble like a delicate and precious material. There are inexpensive marble tiles available even here, and marble slabs, in general, aren’t any more expensive than granite or engineered quartz. Many of our clients love the look of marble, but all too often they’re reluctant to use the real thing, concerned about the inevitable scratching, pitting, and staining inherent in this soft and creamy stone. But here’s the thing: The Europeans don’t care about that! They accept the cracks and discoloration as part of the stone’s beauty, and as a natural process of adding character and patina. Is a soft and weathered marble that’s been in place for hundreds of years really any less beautiful than marble that’s shiny and new? Our Airbnb apartment in Barcelona had marble floors and walls that were appealing despite being cracked and stained. The colors were lovely, and the stone was cool and inviting. 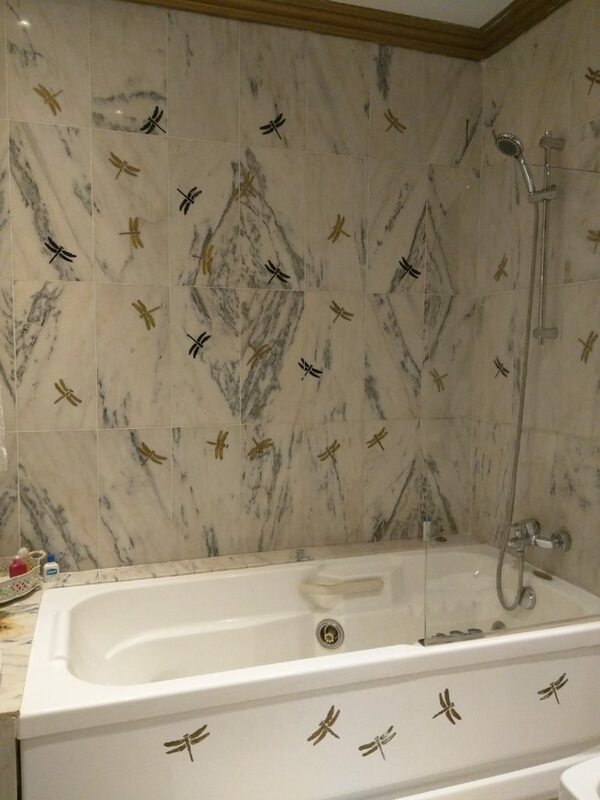 In the master bathroom, the creative apartment owner had even hand-painted whimsical dragonflies directly on the marble walls. Because … why not? So here’s my advice: If you like marble, use marble. Real marble. Let it chip and crack, and don’t worry if it doesn’t stay pristine. Note every scratch and stain as part of the story of its life, and of your life. Embrace its imperfections as part of its inherent beauty and unique character. With the current popularity of reclaimed wood and other repurposed elements, why shouldn’t we have the same appreciation for a well-worn stone? As Wendy always tells our clients, “Nothing beats Mother Nature.” And part of the beauty of nature is that it’s never perfect.